Toys R Us has revealed their SDCC exclusives including two new G.I. Joe Loyal Subjects vinyl figures! 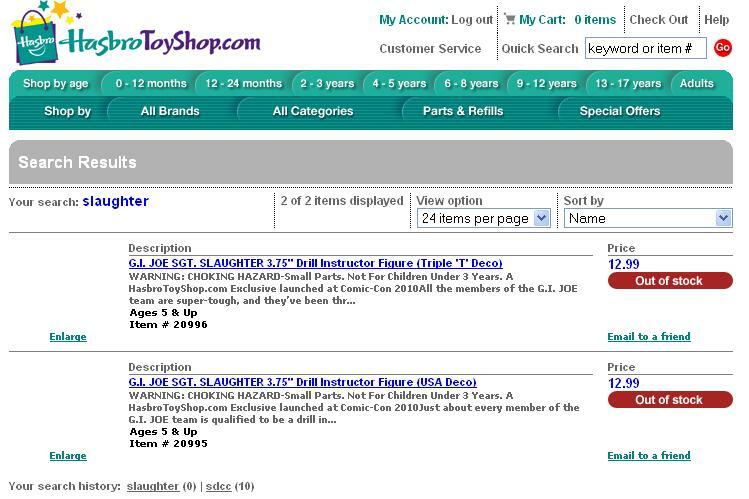 That’s right– Toys R Us will be offering a SDCC exclusive G.I. Joe Loyal Subjects vinyl two-pack featuring Tiger Force Wreckage and Beach Head. 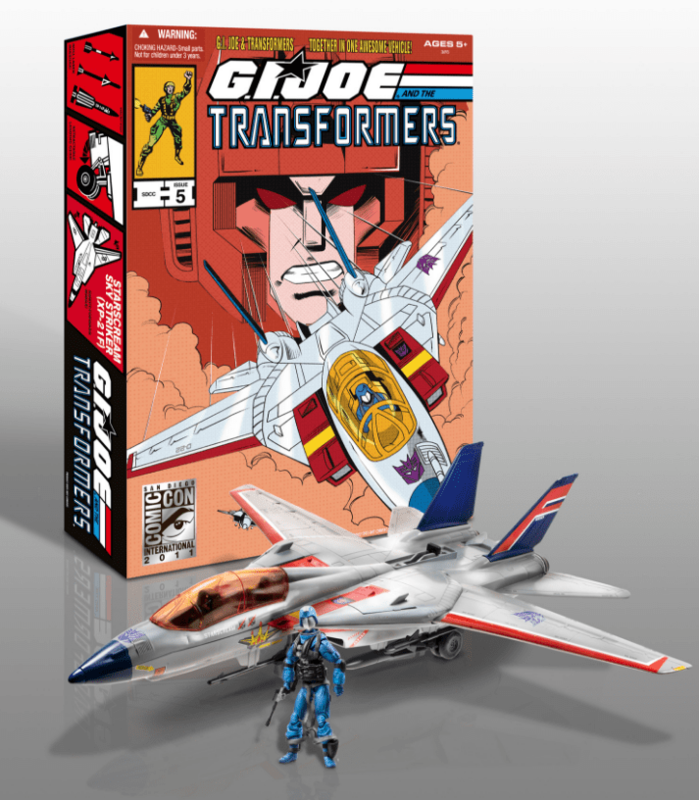 Featuring the likeness of WRECKAGE and BEACH HEAD from G.I. JOE’S TIGER FORCE™ unit, these 3.2-inch tall vinyl figures feature 14 points of articulation, several accessories to help bring the action of this special subteam to life and come complete in a window box for display. Available only at the Comic Convention and online at Toysrus.com/ComicConvention. Interesting… I’ll give props to both Toys R Us and the Loyal Subjects for their selection of some out-of-the-normal decos for these characters. 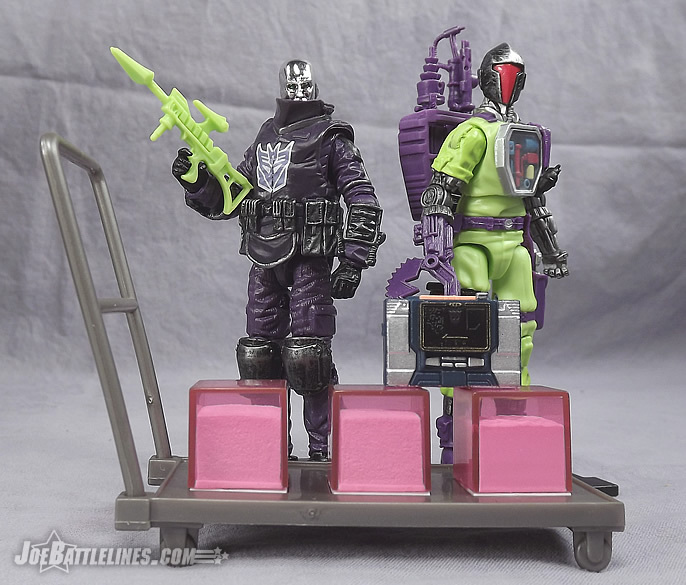 I’m especially excited to see a new spin on the Joe Con 2004 Tiger Force Beach Head who, in spite of his garish color scheme, manages to look AWESOME! This figures will be available online at ToysRUs.com from July 21 – July 24 in limited quantities. SDCC 2016: Micronauts return in exclusive set! As we get closer to the full launch of the Hasbro Cinematic Universe, we’re hearing more and more mentions of the properties involved. Case in point: the Micronauts are returning to SDCC 2016! As first reported by The Hollywood Reporter, this year’s Hasbro San Diego Comic Con exclusives will include a special reissue set consisting of three classic figures from the original 1976 – 1980 toyline that was released in the US by Mego. The original Micronauts line itself was based on the Takara Microman line that was sold in Japan beginning in 1974. The Micronauts set will be available at the Hasbro booth at SDCC 2016 from July 21 – 24 and with limited stock available after the show at HasbroToyShop.com. They’ll also be making an appearance at Fan Expo Canada from Sept. 1-4 at the Metro Toronto Convention Center. While I would never considered myself a life-long Micronauts fan I’m just old enough to have had a few figures from the line as a kid– including Pharoid. 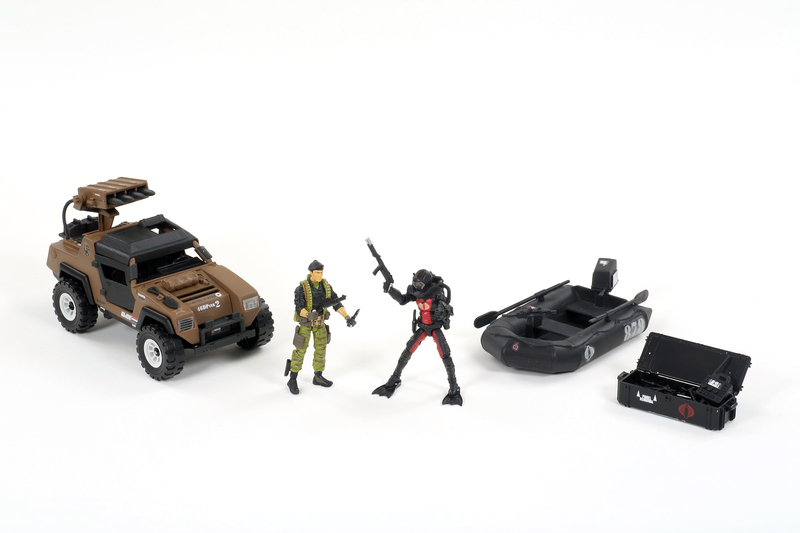 Granted, I was probably too young to truly appreciate him (which explains why he’s missing ALL of his accessories now) but seeing him included in the set tugs on the nostaligic heartstrings in such a way that I’m going to do my darndest to try and acquire one of these SDCC 2016 Micronauts sets when they drop on HTS post-show. I still have enough vague memories of the old Micronauts commercials from TV to get excited about their inclusion in the Hasbro Cinematic Universe! Was the G.I. Joe SDCC Exclusive Revealed Today? Okay, it’s been a day of a lot of site updates and image uploads (with much more to come) but one thing jumped out as I was uploading the Hasbro 1:18 scale images a few moments ago. This moniker was attached to the classic VAMP Mk II / Cobra Night Landing set. So, is the proverbial feline now out of the bag? Is this the G.I. Joe SDCC exclusive for 2014? In the meantime, check out JBL’s G.I. Joe Toy Fair 2014 page for updated images and 1:18 set descriptions.